'Star Wars' as big as The Beatles, says Ron Howard . Beatles Radio: The Beatles, Solos, Covers, Birthdays, News The Fab 4 and More! 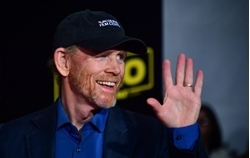 Oscar-winning filmmaker Ron Howard said Saturday directing a movie in the Star Wars universe was as daunting as making his Beatles documentary thanks to the intense fan love. Howard, 64, who made the acclaimed The Beatles: Eight Days a Week ( 2016 ) about the peak years of the Fab Four, told a news conference in southern California he felt just as much pressure on Solo: A Star Wars Story. "The level of anticipation is unlike anything that I've done. You fall into it and it's amazing. It was a little bit like the Beatles documentary that I took on," said Howard, who won directing and producing Oscars for A Beautiful Mind ( 2002 ). "I could tell from the moment it was announced, 'Ron, don't (mess) this up.' So I immediately felt the same thing with this. The fans care, and they should care." Solo, which gets its US release on May 25, charts the adventure-filled past of smuggler Han Solo -- made famous in four Star Wars movies by Harrison Ford -- before he was the galaxy's most adored scoundrel. The second of three planned spin-offs from Disney-owned Lucasfilm, it follows Rogue One: A Star Wars Story, the second highest grossing movie worldwide in 2016.